My finger paused as it hovered over the “post” button. The familiar tune was vulnerability, but this time I felt particularly exposed. My anxiousness was not because I was about to share something hard, but because I was about to disclose what was, for me, a small success – a joy. I knew that there would be silence from some in my circle, and that was going to hurt. How did I know this would happen? Because I understand the game of comparison. I know what it’s like to hear of another’s success and secretly wish that it were mine – to feel like another’s opportunity means I’m being left behind with empty hands. Our gut-reaction to that is often silence. Celebrating another requires a bold and intentional move because it means we have to take our eyes off of ourselves. We trade our self-pity, disappointment, and feeling of unworthiness for confetti, a party hat, and a mouth full of sincere praise. A true friend who is for me is not just there in times of sorrow, but also shows up with a celebration cake in times of joy. There was a season in my life when doctors labeled my husband and me as having “secondary infertility.” We already had one child but struggled to conceive again. I was at an age where all of my friends were having babies, so it seemed every week a new baby shower invitation came in the mail, or someone was announcing a pregnancy. There are few things that test a woman’s heart like infertility. Every single month, hope would rise, and disappointment would pierce it. I was filled with struggle and angst. So when precious friends came to me to share the joy of a coming baby, it was the ultimate test of my ability to build another up according to her needs, not mine (Ephesians 4:29). I knew that I could not focus on myself and sincerely build up my friend. I had to trust that God would provide for my need, and would care for me, as I was caring for another. The most secure and biblically mature people I know breathe this way of living. Their identity and worth is so tied to Christ that another’s success, despite her own setbacks, does not trigger insecurity or comparison. 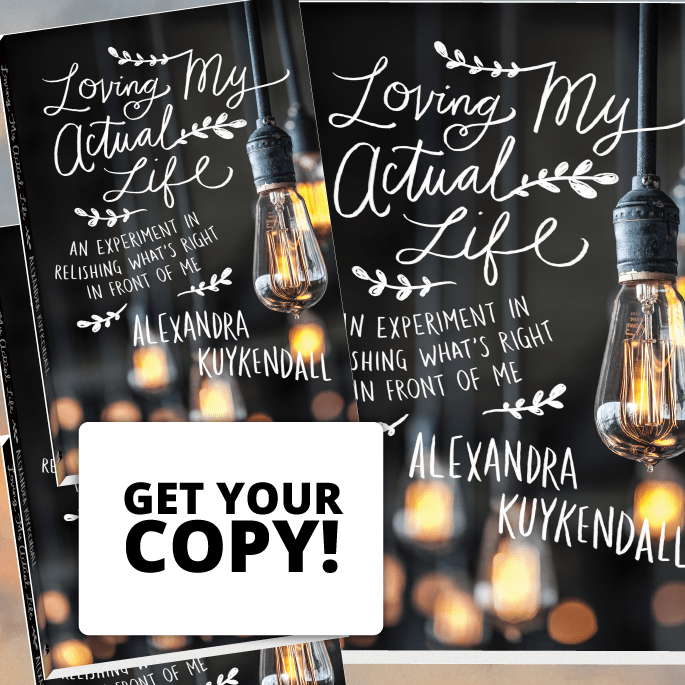 They’ve learned that God’s evidence in another’s life is to be praised and that it doesn’t take one thing away from them. If we want to be mature and secure women who reflect Christ’s character, comparison must be buried. I have found that the best way to overcome these destructive feelings is with practical action. Here are three ways I attempt to kill comparison in my life. Pray –When we come before God on the behalf of another, He changes our hearts toward them. I thank Him for the work He is doing in my friend’s life, and for the faithfulness He is showing to her. I then name what God is doing in my life and ask Him to give me a heart of contentment and gratitude for those things. Act – Sometimes our feelings follow our actions. I can choose to act graciously toward the person with whom I am comparing, even if that person has not acted the same toward me. This usually comes in the form of speaking words of life to that individual. Celebrate –We can learn to celebrate another person, both for her personal benefit, but also to acknowledge that God is doing great things in the world. When I celebrate someone, I am ultimately giving credit to God, the giver of all good things. Theodore Roosevelt once said that, “Comparison is the thief of joy.” I would add that it robs relationships of what is good. Let’s not hand comparison that power. God’s generous provisions are more than we could ever hold. Let’s believe that truth, and overflow out of that rich abundance and heritage with a strength that, dependably and faithfully, builds others up. I’d love to know: How do you fight comparison in your life? Krista Gilbert lives in a small lakeside town in the Pacific Northwest with her family. She likes to cook for a crowd. In fact, the bigger the crowd, the bigger the party. 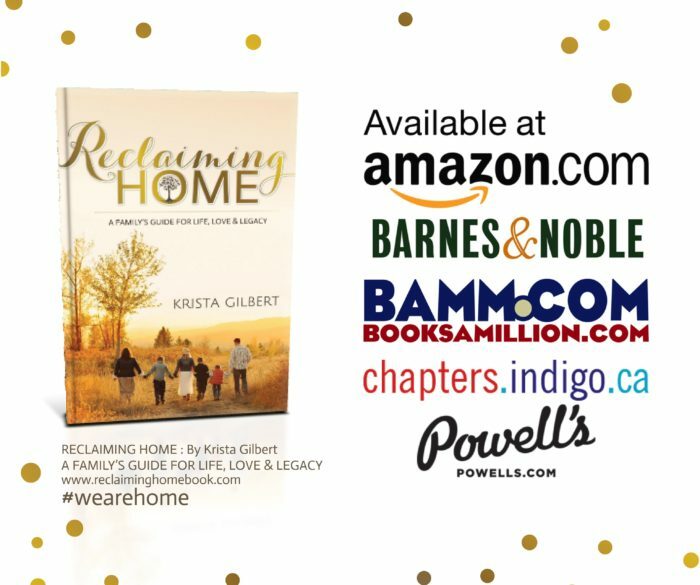 Her book, Reclaiming Home: A Family’s Guide For Life, Love, and Legacy, shares many of the practical ways she makes her family functional, meaningful, intentional, and fun. At the center of all this is Krista’s deep faith and her love for the people God has placed at her table. You will find her online at kristagilbert.com and meaninginaminute.com, or podcasting at The Open Door Sisterhood.